There are a range of inspections that can be carried out prior to committing to the purchase of real estate. How Will A Pre-Purchase Inspection Report Protect You From Costs And Risks? The goal of a Pre-Purchase Inspection is to help you know as much as possible about the condition of a property before you make the actual purchase. 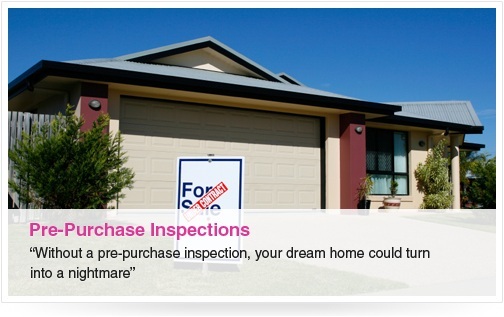 Pre-purchase inspections should be carried out prior to committing to a property purchase. This way, a purchaser has the option of re-negotiating the purchase price based on the report findings or even of withdrawing from the purchase. These inspections should be carried out as early in the buying process as possible so that time is available to consider the reports and if necessary, to arrange further inspections.